This book could transform the way we understand presidential campaigns. Kate Kenski, Bruce W. Hardy, and Kathleen Hall Jamieson give us a fascinating window into accelerating technological advances driving—and driven by—consultants and operatives over the past decade. Every assertion is backed up with an extraordinary array of statistics, facts, and figures. The authors bring forward both a huge database complete with precise information on the cost and timing of all paid media, and a meticulous study of the content of news coverage, particularly the debates. The data are presented with a political acuity that should stand as a model for all future studies. Technology has left the poll-oriented media in the dark, posing major challenges to the publications that report on the campaigns. New methods of micro-targeting have given campaigns the ability to identify and to characterize individual and prospective voters, their likelihood of voting for or against a candidate, the issues that motivate them, and the most effective tools to get them to the polls or to stay home (“vote suppression”). Media targeting has enabled operatives to use increasingly sophisticated filters to identify the fine-grained demographics of audiences for local radio, television, and—importantly—new media platforms. Data-filtering allows politicos to develop separate portraits of every voter in key battleground precincts or states. These information-intensive methods of list development have, in turn, provided access to the crucial ingredient to make it all work—money. As the authors make clear, these advances help to explain the success of the Obama campaign, which took particular advantage of so-called “early voting.” Nearly one-third of all ballots cast were sent in before Election Day, November 4, and early voting policies have now been adopted by two thirds of all states. Obama’s national field director, Jon Carson, told the authors that “early voting didn’t change our strategy. It was our strategy.” The Obama operation’s outreach was expert, prolonged, and coherent. Over the duration of the campaign, Obama forces sent out over one billion emails, and communicated by text messaging with over one million voters. Well-crafted questions in the tracking survey data allow the authors to make nuanced analyses of seemingly tiny but actually significant shifts in the electorate over time. Take, for example, the Obama campaign’s sustained portrayal of McCain as a Bush clone. Obama strategists made repeated use of television clips of McCain’s boast that he “voted with Bush 90 percent of the time,” a claim he was forced to make during the primaries to affirm his Republican credentials. The authors found that from June 9, 2008 to the election, the number of people swayed by the Obama campaign’s “McSame” argument grew each day by 0.035 percent. Now 0.035 percent does not seem like much, much less something to spend millions of dollars on. But when you add up 0.035 percent-a-day over twenty-one weeks, you come up with just over 5 percent, which in politics is a very big number. The systematic account of shifting public opinion given by Kenski, Hardy, and Jamieson demonstrates why campaigns are willing to pay so much for expensive daily tracking polls that provide almost instant feedback on the success or failure of competing campaign themes, on reaction to external events (the 2008 financial crisis, the disclosure of the Reverend Wright tapes, and so on), and on the shifting assessment by the public of each candidate’s character. Information pays off not only in measuring the strength and weakness of the candidates, but also in deciding how and where to expend resources on pervasive and consistent messaging: media; the ground game, including volunteer and paid local staff and offices; and candidate and surrogate appearances. But information costs money, and this is where the Obama campaign had a huge advantage. The ability of the Obama campaign to make use of its vast network of volunteers, email contacts, and identified supporters permitted the Democratic candidate to backtrack on an earlier commitment to accept federal financing (and limits) in the general election. Without federal restraint, Obama was able to raise a total of just under $750 million in the primary and general elections, while John McCain, who took the federal subsidy, raised only $370 million, including the $84 million in taxpayer money. In the general election, Obama’s spending advantage was brutal: $349.1 million by Obama to $85.4 million by McCain, almost exactly four to one. The importance of money and, with it, the capacity to target messages to key micro-audiences was demonstrated in the aftermath of McCain’s selection of Sarah Palin as his running mate. In the short term, McCain made large, and, to the Obama campaign, threatening gains among white women. To counter this, the Obama campaign immediately bought large blocks of advertising time on radio stations with disproportionately large numbers of moderate women in their audiences. The ads stressed McCain’s anti-abortion stance, a position not well known—because of his arguably calculated flip-flop on the repeal of Roe v. Wade, and his strenuous efforts to ‘narrowcast’ the issue—many women falsely assumed McCain was pro-choice. The radio stations were carefully picked to avoid sending the anti-abortion message to conservative women because it would then have worked to McCain’s advantage. The survey data compiled by the authors shows the dramatic effect of Obama’s advertising: the percentage of voters identifying McCain as the candidate favoring overturning Roe v. Wade grew by nearly 20 percentage points from late August, when it was in the 30 percent range, to Election Day, when it approached 50 percent. Obama’s resource advantages worked in combination with the striking success of the Democratic Party, which leapfrogged the GOP in nuts-and-bolts expertise, in data-mining, in getting voters to cast early ballots wherever permitted, and in staffing below-the-radar primary contests in previously low-salience states. The 2008 election was a contest between an old, punch-drunk, out-of-shape middleweight against an up-and-coming, well-trained heavyweight. What is startling, looking back at the election, is that McCain, carrying the burden of a disgraced Republican Party, a failed incumbent president, and an imploding economy, still won 46 percent of the popular vote—more than the 43 percent Bill Clinton won in 1992. In fact, as the authors of The Obama Victory point out, “Surprisingly, in an election all but ordained to be a Democratic win, our data suggest that the Arizona senator was actually either ahead or tied” twice late in the campaign: the first time just before the Democratic convention, and the second time just as the Republican convention ended. Also, running counter to the expectations of political scientists was McCain’s momentum after the third debate in mid-October. The authors argue that the focus of the campaign on national energy shortages, and on McCain’s support for off-shore drilling, helped the Republican pull ahead just before the late August Democratic convention; that the bump after the early September GOP convention and the perceived success of Palin’s speech drove up McCain’s numbers the second time; and that the emergence of “Joe The Plumber”—complaining that American entrepreneurship was being stifled by high taxes—proved momentarily damaging to Obama after the third debate. What these findings suggest is that the center-left coalition pieced together by the Obama campaign is not yet a stable alliance that the Democrats can depend upon. A durable realignment has yet to materialize. In particular, the McCain surge after the third debate points to the continued salience of taxes and related distributional issues, often treacherous terrain for Democrats. This does not mean that the Democrats will not succeed in putting together a majority—they have built-in demographic advantages with the rise of the Hispanic vote and with the growing share of the electorate made up of pro-Democratic women and men; but that achieving anything approaching a sustainable majority will be tougher than liberals anticipated in the post-election ecstasy of late 2008. A key factor in the ability of the authors to produce this valuable contribution to the understanding of politics was the collection of poll data. That cost $2.5 million: a huge sum of money. The problem this poses for others seeking to produce a comparably serious, data-driven study of a future campaign is that The Obama Victory has not only set a new standard, but the cost of meeting that standard lies beyond the reach of 99.9 percent of all journalists—digital or otherwise—and academics. 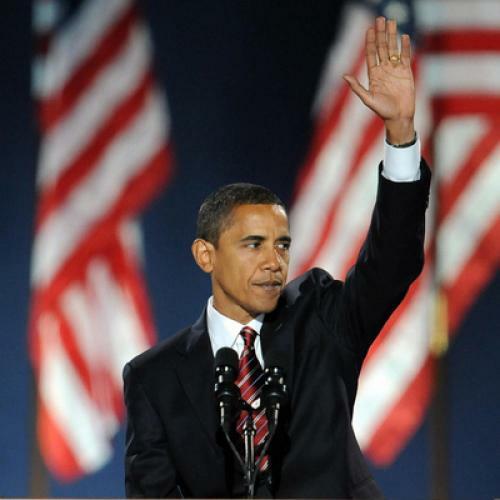 If The Obama Victory receives the attention that it deserves, it could force a major shift in the financing of campaign coverage. One rational, but difficult-to-achieve option is to replicate on a much grander scale the pooled financing that now pays for election-day exit polls. Major newspapers, networks, political web sites, and others, including academic institutions and a variety of politically active private interests, could, in theory, reduce individual costs by sharing the expense of tracking polls, obtaining timely reports of cyber-campaigning, radio, and television buys, paying for a common website with access to ad scripts, and so on. Each publication and institution would be free to provide its own interpretation of the material—indeed, interpretation would be what each would try to sell—while all would share access to the data. Unless something along these lines is done, the media, and the less well-financed researchers, will be left further behind the curve, providing less and less valid interpretation of political developments—interpretation for which there clearly is a huge appetite. The strategies of modern presidential campaigns have progressively changed, starting with mass appeals conducted largely on television, then adding micro-targeting, and moving to what could be called nano-politics. To create a more sophisticated awareness of how governments get elected requires an emphasis on empirical research and a movement away from the “opinion” writing that, covertly or overtly, now dominates political journalism. The Annenberg National Election Survey and its analysts offer a bridge to those seeking a deeply informed understanding of American democracy. Improved comprehension will require more work of this scope and depth. Thomas B. Edsall is a TNR special correspondent and the Joseph Pulitzer II and Edith Pulitzer Moore Professor at the Columbia Graduate School of Journalism.